This is a guest post by Kate Heuisler, Chief of Party of DAI’s USAID-funded Cambodia Development Innovations project. 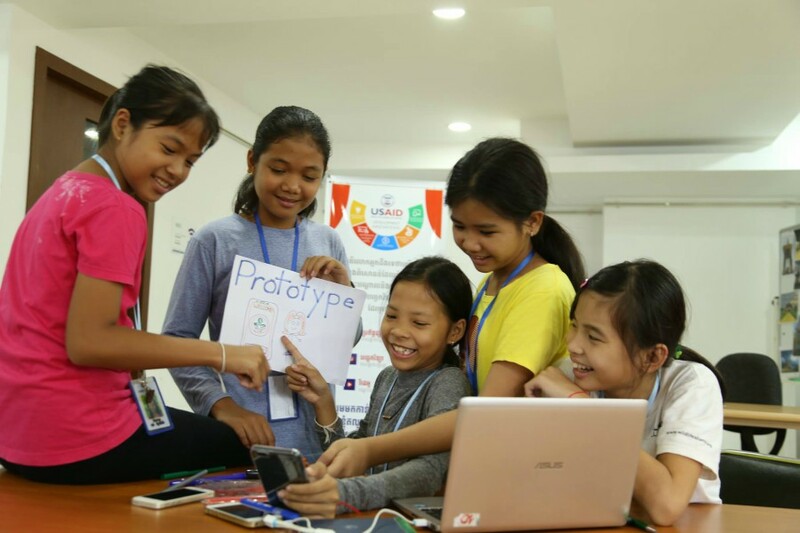 Development Innovations supports innovators and boosts the use of information and communication technologies for the overall development of Cambodia. The project is structured to be flexible and adaptive—because we need to. Really, most creative development programs should build themselves to be learning organizations, to be ready for big pivots, regardless if you and your partners use digital innovations. The development world is regularly disrupted—by political changes, natural disasters, new technologies such as social media—and is no longer built for static, five-year plans. Donors and funders need partners that can learn by doing, and are not afraid to adapt strategies and implementation plans to continually improve. Putting our flexibility to the test, we entered a USAID Learning Lab Collaborate, Learn, Adapt Case Competition—and were selected as one of 10 winners! Try to engage different audiences the same way. If you are bringing together different stakeholders from, for example, the tech and nongovernmental organization (NGO) communities, you need to understand their habits, when they most want to meet, and how they do business. In Cambodia, most NGOs want to meet during the workday, but startups and students want to meet after work hours. Be sensitive to those differing preferences and find a middle ground that works for most. Over-collaborate. You can spend all your time in meetings, listening, but it is vital that your partners and beneficiaries see you take informed and practical steps to build trust with the people you are working with. If it takes you too long to make an informed decision, your findings may already be out of date. Be intimidated by the words collaborate, learn, and adapt (CLA). As one case competition winner this year said, you are likely already employing some of these processes in your everyday strategic planning and execution, you just might not call it that. Overcomplicate your CLA processes. Track learnings, communicate them back to your team and partners, and be honest about what is working and not working. We use a very simple set of questions to guide the discussion and hold a one-hour, after-action review following each event or conclusion of partnerships. Ideally, we get a glimpse of what fell apart and what exceeded our expectations. Make sure to bring everyone in on that conversation, not just managers. Sometimes you get the best insights from new staff, drivers on field trips, or partners who aren’t from the industry at all. Communicate with purpose. If you want people to collaborate and work with you, report out on what you are doing in simple language. Today’s development projects must work with new media—not just the old way of putting out a success story once a quarter and never collecting insights about how people interpreted it. That means you can’t just use buzzwords to document your lessons or bring people along with your activities. We find that a blog and electronic newsletters are very effective to reduce waste (we only contact you once a month, but you can go back and view archives). Understand the difference between your audiences and craft the right messages for each group if you want it to stick with them. Listen—and study—digital insights. Be a marketer. Put yourself in your client’s or partner’s shoes. What do they want to hear instead of what you want to tell them? Study their digital behavior with insight data and see how you can adapt and respond with new content. Build in simple feedback mechanisms. Do you really need 15 questions on your survey about your training or service or can you do it in three? How are you actually using that data? If you don’t use the data to make decisions, don’t waste their time or your time! Our favorite questions to ask are: Would you recommend our services to your colleagues? Have you used the skills from our training to create your own tech product after our training? Share lessons and information digitally. You don’t need to bring everyone together for a meeting to share ideas. How can you use digital innovations to make it easier (and save money!) but still be effective and inclusive? Know your audience, and check in with them regularly so you become a trusted resource. We use Trello internally to track tasks, and Slack for group messaging to communicate among staff members. Externally with our partners, we use Messenger and Facebook groups to share information. It is essential to make sure you communicate with people based on their preferences—so make sure you ask. Our funder wants to hear what is working and what isn’t, as long as we have actionable data about what happened and why and how we want to adjust our programming. These techniques might help you stay relevant in a rapidly changing landscape.